New festive lights have been installed in trees along Bournemouth’s East Cliff and West Cliff thanks to a partnership between hoteliers and Bournemouth Coast BID. Bournemouth’s East Cliff and West Cliff are sparkling that much brighter this festive season, thanks to a new partnership between hoteliers and Bournemouth Coastal BID. Almost 530 illuminated Christmas stars are twinkling in 35 trees, lit up by more than 90 uplighters, at locations across 25 hotels and two roundabouts along the East Cliff and West Cliff areas. The new lights, which are part of the Christmas Tree Wonderland attraction which extends from Bournemouth’s Lower Gardens throughout the town, were switched on by Coastal BID Chairman Paul Clarke on Friday, 16th November. “We are delighted to see the stunning results of this new collaboration between ourselves and the East Cliff and West Cliff hoteliers. 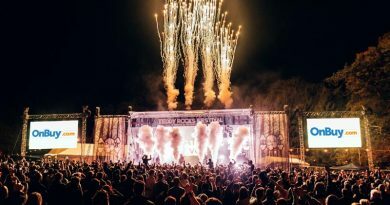 The project was completed with assistance from Bournemouth Borough Council, Gala Lights who provided these new features, and Eventpower engineering, who did all of the magical installations, mostly overnight. The Coastal BID is a not-for-profit company which represents some 760 eligible levy-paying businesses across Westbourne, West Cliff, East Cliff, Boscombe, the Seafront, Southbourne, Tuckton and Hengistbury Head, working to enhance this area as a vibrant, attractive, eventful, connected, safe and successful environment in which to do business.